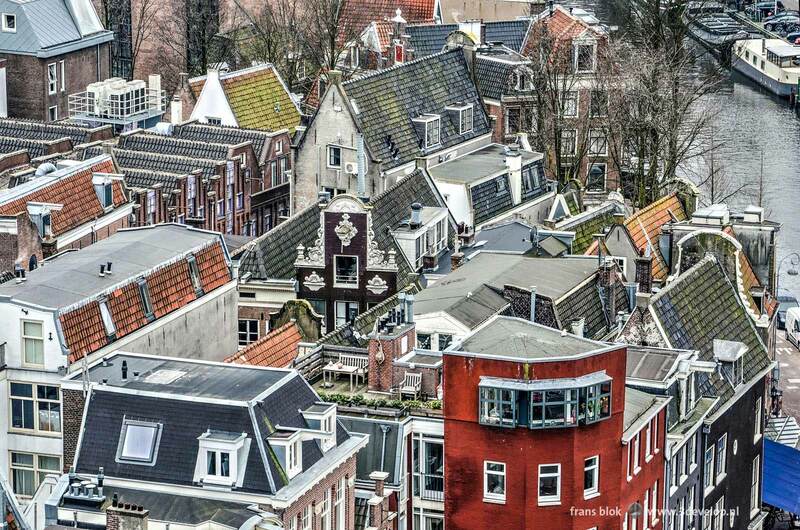 Like most Rotterdammers, I tend to refer to Amsterdam somewhat pejoratively as 020 (the city’s area code, which seems to indicate it came second after Rotterdam, 010). But secretly I think it’s quite a nice place. Okay, I still don’t understand why it is the capital when the government is located somewhere else. But especially when it comes to old and new architecture and urbanism there is a lot to see around the Y river. 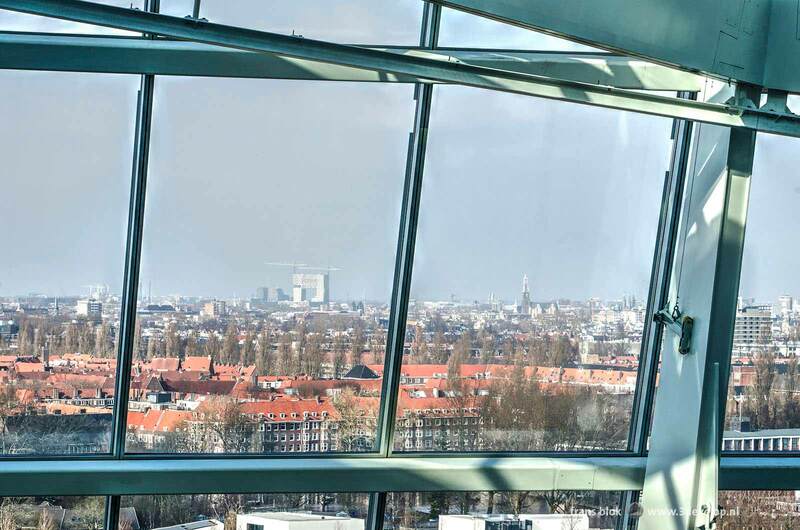 The Open Tower Day on 24 March was therefore a good occasion to take a fast train to Amsterdam. Unfortunately I was too late to reserve for highlights such as the Westertoren and the Posthoornkerk; for some reason I always miss those windows of opportunity. Former experiences with this type of event taught me that some locations tend to get busy later in the day. Since the Beurs van Berlage was likely to be such a popular place, I decided to get there right away at ten o’clock. Unfortunately, the key to the tower appeared to be lost. So I first headed to the the tower on the nearby Kalverpassage. That structure, where a restaurant is located, is only a few meters higher than the surrounding roofs, but the vistas are nevertheless fascinating. Unfortunately there is no roof terrace; as a result the photos had to be taken through an extra layer of glass; a handicap that turned out to be the case for most of Amsterdam’s towers. When I returned to the Beurs, there was now a line of twenty meters in front of a still closed door. I decided to save Berlage for another day and went to the next location on my list: the Silver Tower. An office building of a whopping eleven floors; in Rotterdam we laugh about it. 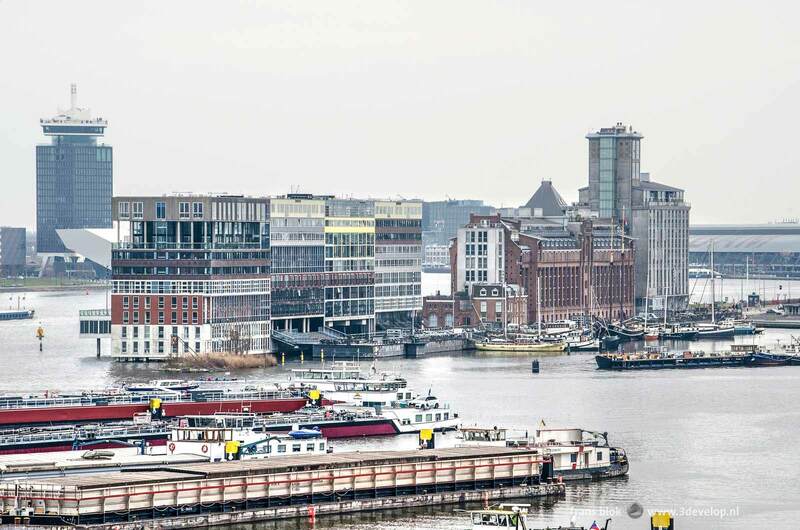 But because of the location, right next to the Central Station, I gave the views a nine and a half out of ten. Again, annoyingly, there was no way to go outside. And the weather conditions were not optimal either, so I haven’t been able to shoot the photo of the century. I would love to have a roof terrace like the one just below the middle on the next photo. 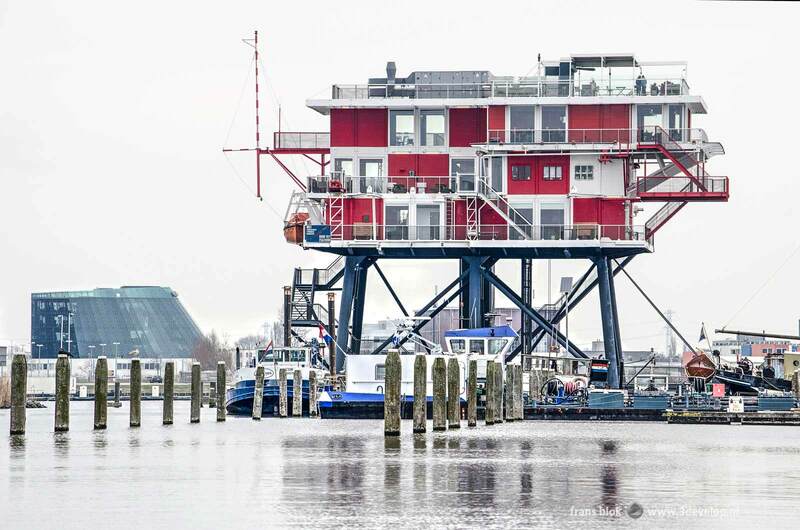 My next destination, the REM island, is located a few kilometers from the city center in the Nieuwe Houthaven, an scenic spot with jetties, boats, industry, old sheds and new residential areas. I had been in this former pirate nest about five years ago, for the occasion of the official and festive farewell to my former employer. No, not Rem Koolhaas, although that would have been quite appropriate. At the time the restaurant had some problems organizing the kitchen, so my (former) colleagues and I were very hungry that night. But this time the coffee tasted great and the service was very friendly. The REM island offered, without obstructive glass, a beautiful view of the surrounding harbor areas. 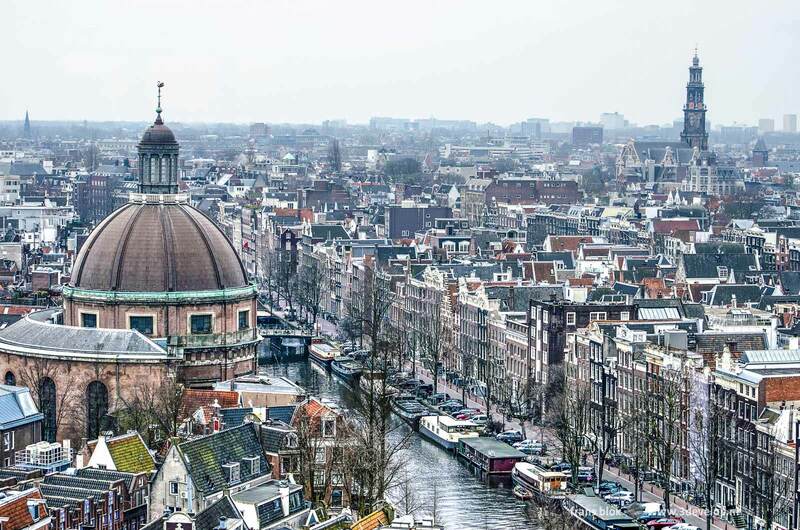 The weather was still a bit gloomy, but you can’t blame the Amsterdammers for that. 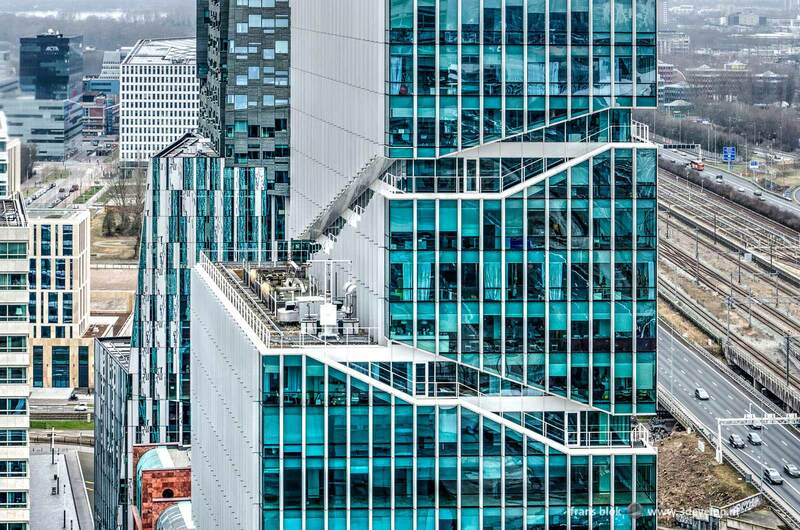 On the other side of the city, in the Zuidas district, a few towers close together were open to the public: the ABN Amro building, the Crown Plaza Hotel, the Symphony Tower and The Edge. Here, too, the glass and the still somewhat hazy weather made it difficult to photograph. Perhaps the Viñoly tower shown below can participate in a next edition of the Open Tower Day; I’d love to take some pictures from those fire escape stairs. 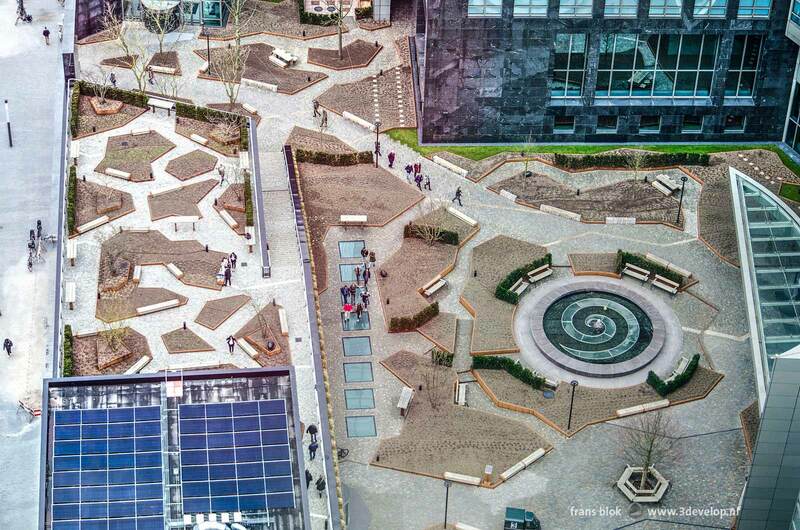 The public spaces at Zuidas seem to have been designed primarily to be viewed from above. Which of course is not a bad idea with all those high buildings around them. My journey along the Open Towers ended at The Edge, the new Deloitte office. The tour of this most sustainable office building in the world was a nice preview of the Day of Architecture. 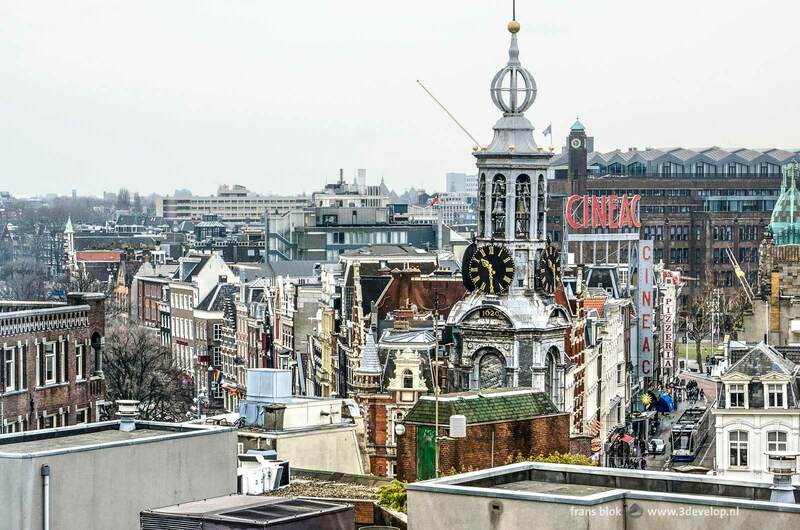 From the top floor of The Edge I saw that the weather had brightened up tremendously in a short time: downtown Amsterdam was bathing in springtime sunlight. Too late: we were approaching five o’clock, closing time. I will have to return to a next edition of the Open Tower Day, with hopefully more photographic weather conditions. And please, also a few towers with a roof terrace.